Andrew Lambert. The Crimean War: British Grand Strategy against Russia, 1853-56. Second edition. Farnham: Ashgate, 2011. ISBN 978-1-4094-1011-9. Figures. Tables. Maps. Notes. Bibliography. Index. Pp. xvi, 380. $104.95. Originally posted in International History (23 August 2012). This highly praised study, originally published in 1990, has been reprinted in a second edition. The work has been hard to find for well over a decade. Dr Andrew Lambert, Professor of Naval History in the Department of War Studies at King’s College at the University of London, is known for such studies as Battleships in Transition: The Creation of the Steam Battlefleet, 1815-1860 (1984), HMS Warrior 1860: Victoria’s Ironclad Deterrent (1987), The Last Sailing Battlefleet: Maintaining Naval Mastery, 1815-1850 (1991), Steam, Steel and Shellfire: The Steam Warship, 1815-1905 (1992), The War Correspondendents: The Crimean War (with Stephen Badsey) (1994), War at Sea in the Age of Sail (2000), and more recently The Challenge: Britain against America in the Naval War of 1812 (2012). 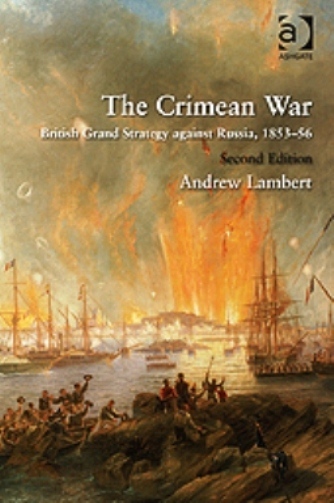 In this edition of The Crimean War Lambert provides a valuable twenty-nine page introduction that discusses recent developments in the historiography of the Crimean War. Otherwise the author makes no changes to the original study except for part of the conclusion. The focus of this study is on British grand strategy (the development and implementation of strategy within the context of national policy) in the so-called “Crimean War” against the Russian Empire in the 1850s. Britain and Russia were the only two world powers from 1815 to 1854. Even so, France was Britain’s main rival — with British blue-water naval strategy focused on France — in the years leading up to the Russian War. Histories of the Crimean War have traditionally focused on the origins of the conflict in the Near East and Balkans, and the war against Russia in the Crimea and Black Sea Region. Lambert discusses the Anglo-French rivalry before the conflict, the outbreak of the Russo-Turkish war in 1853, and the creation of a “fragile” Anglo-French alliance that went to war against Russia in 1854. The Crimean phase was seen as a limited war with Allied attacks on the southern periphery of the Russian Empire. British objectives were to defend the Ottoman Empire and maintain the existing Balance of Power in Europe. Moreover, London wanted to reduce the Russian naval threat to British interests in the Black Sea and eastern Mediterranean. At first, Napoleon III of France was willing to follow Britain’s lead. In September 1854, an Allied expeditionary force invaded the Crimea, and soon began the siege of the main Russian naval base at Sevastopol. In 1855, France massed a large army for action in the Crimea to attack southern Russia and win a decisive victory. Britain, on the other hand, having a large fleet presence, but a small army in the region, preferred to stress naval strategy with attacks against peripheral targets. 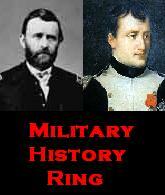 French troop strength and British naval power achieved limited success in the 1855 military campaign. Britain relied on steam-powered ships to control the Black Sea Region. The Allies finally captured Sevastopol in September 1855. 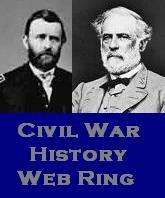 The Allies, however, lacked the manpower to conquer the Crimean Peninsula and pursue the war into southern Russia. Russia was bankrupt and incapable of winning the war. Tsar Alexander II therefore agreed to Allied peace demands, and the Crimean War ended with the Peace of Paris in March 1856. Lambert disagrees with this assessment of how the war ended. He points out that the capture of Sevastopol, on the fringes of the Russian Empire, was not as important as historians would have one believe. The author, taking in a larger view of the Russian War, depicts how the British fleet developed new tactics and conducted naval operations in the Baltic Sea in 1854 and 1855, that resulted in the destruction of Sweaborg. British steam-powered warships dominated the Baltic Sea against obsolete Russian sailing ships. Lambert describes how Britain built up a large naval force, the so-called “Great Armament,” for a full-scale attack on the major Russian naval base at Cronstadt in 1856. The British Baltic Fleet for 1856 would consist of 240 naval vessels, including 24 battleships, 37 cruisers, 4 floating batteries, 120 gunboats, 50 mortar vessels, and 5 auxiliaries (p.343). Lambert states that Palmerston’s adoption of the so-called Cronstadt Plan, “marked a shift from limited peripheral territorial seizures to an unlimited thrust at the centre of gravity of the Russian state — St Petersburg and the army that defended the city” (p.315). The author stresses that the Tsar accepted the humiliating Peace of Paris in order to avoid a total catastrophe if the British naval force attacked and destroyed the Russian Baltic Fleet and Cronstadt, and then bombarded St Petersburg into submission. Lambert’s argument concerning the major British naval buildup and planned attack on vital Russian targets in the Baltic to force Russia to end the war has become the accepted view of academic historians. His research influenced David M. Goldfrank’s The Origins of the Crimean War (1994) who considers the Baltic situation in the road to war. Basil Greenhill and Ann Giffard, The British Assault on Finland, 1854-1855: A Forgotten Naval War (1988), John D. Grainger, The First Pacific War: Britain and Russia, 1854-56 (2008), and Peter Duckers, The Crimean War at Sea: The Naval Campaigns against Russia, 1854-56 (2011) have added to our view of the Russian War outside the Crimea. All in all, this reviewer finds the publication of the second edition of this classic study a treat for students and scholars of the Russian War of 1853-1856.